Every teacher wants their students to take authentic action, but how do we help that process unfold in our classrooms? 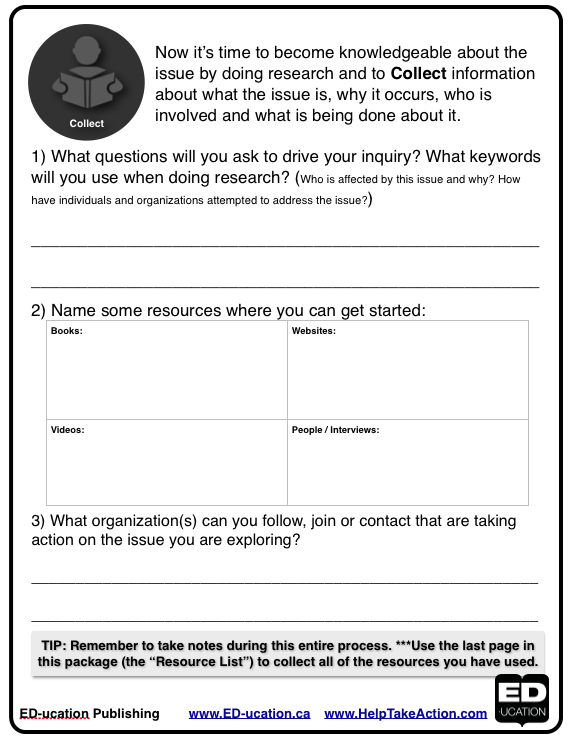 Follow the action cycle below for resources and information to help scaffold each stage of your students' learning journey as they move towards sustainable action. become empowered to tackle today’s issues, as well as tomorrow’s issues. All of the great stuff you find was created as a result of an Action Research Project. The peer reviewed paper was published on February 28, 2013 in the IB Journal of Teaching Practice. 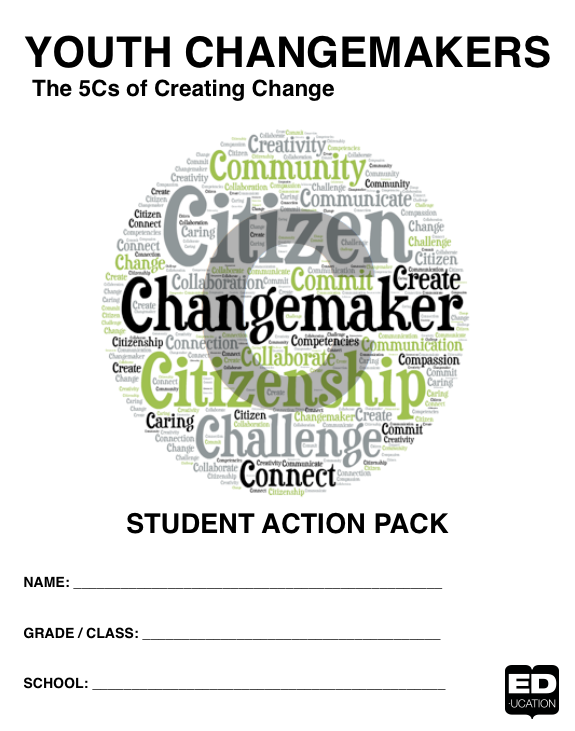 We will soon be launching a Student Action Journal! 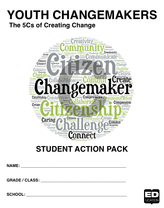 We have created a free package for you, which provides a small glimpse of what the Student Action journal will be. 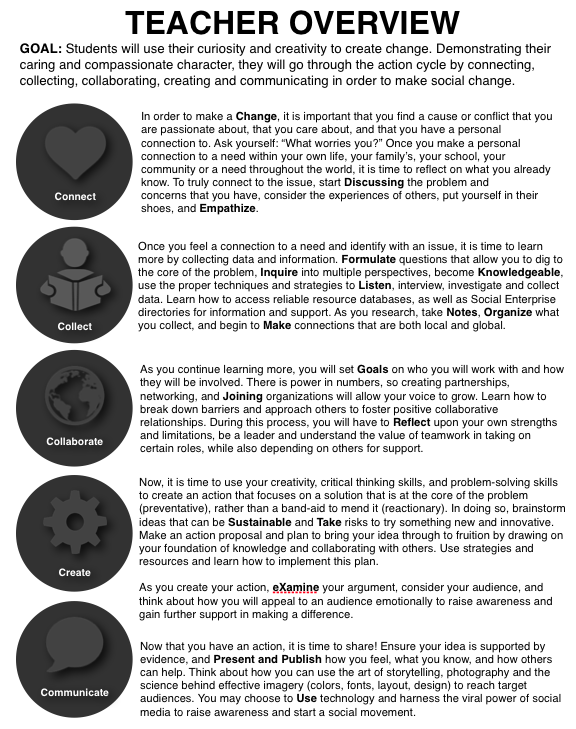 It is clear that youth change makers will not always go through the action process in a linear fashion from A-Z, so we have grouped these skills and habits of mind into ED-ucation Publishing's "5 Cs of Creating Change". Click the images to preview a few pages in the "Action Pack".